Since nothing says Fall like beautiful leaves textured crochet design. I made another kimono with the interleaved pattern you can find it in this Turning Leaves Tunic. 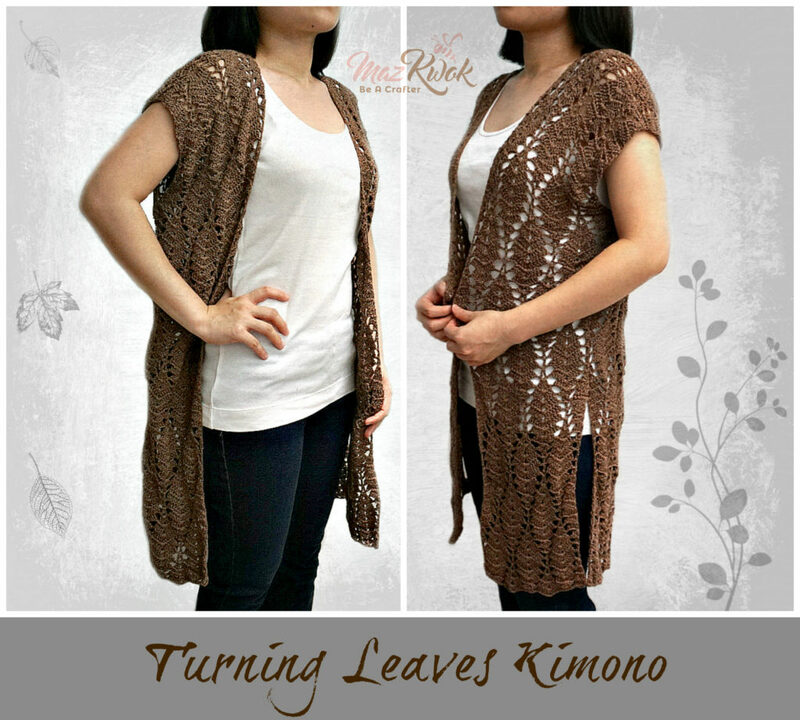 This casual but chic kimono is crocheted by dark brown shade – mercerized cotton yarn so it’s a light weight outerwear for any occasion. The slouchy hat season is coming! 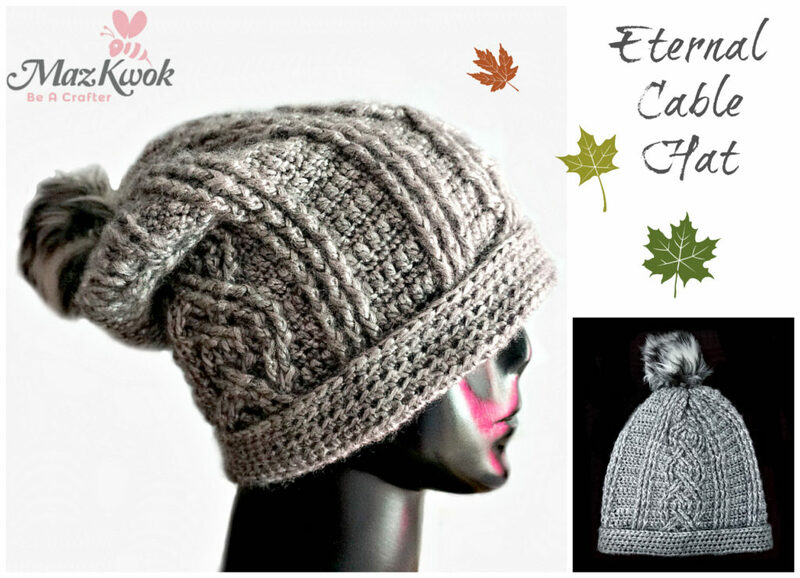 And a textured beanie designed with cable crochet stitches would never out of style. Here’s my Eternal Cable Hat to match with the Eternal Cable Scarf. Peplum tank is such a lovely outfit for teen girls and young women. 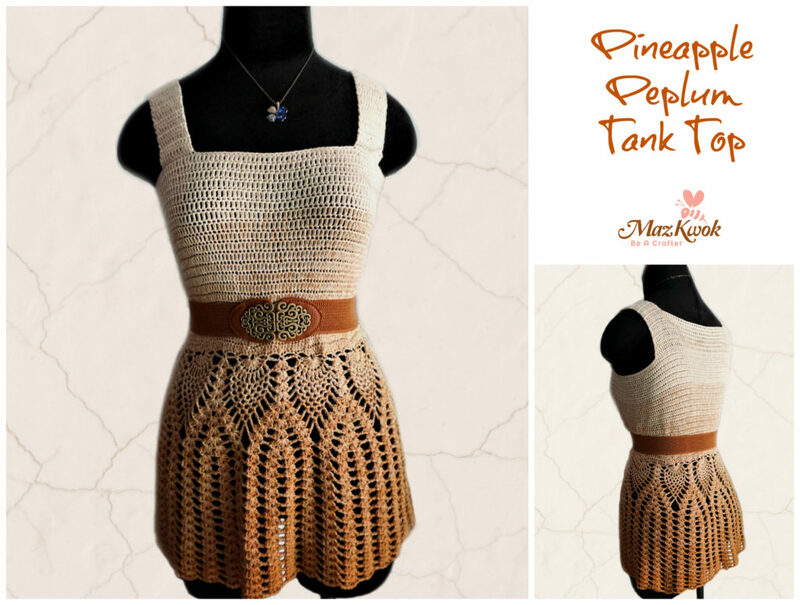 If you can’t get enough of the first crochet Peplum Tank Top with ribbed lines and lacy stitches I made. You might want to try this one. Here’s my second crochet design – flattering, chic style with ombre hues.